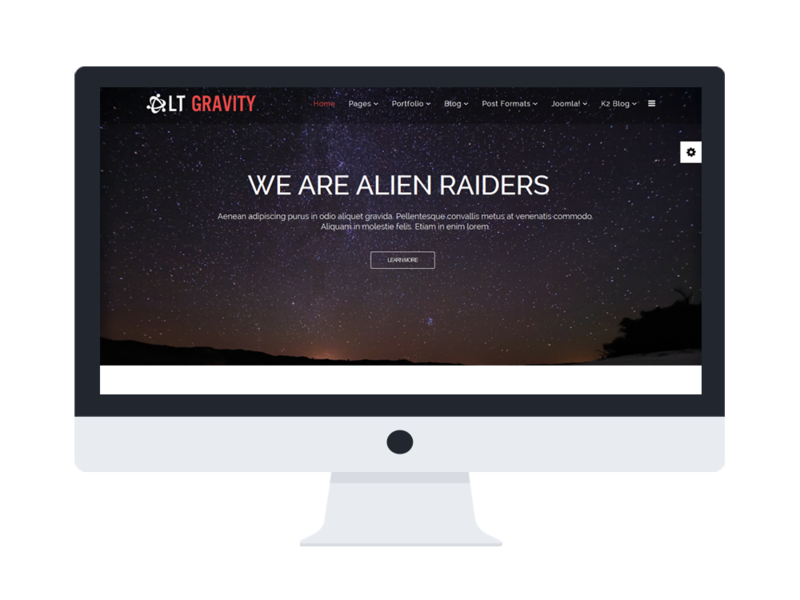 LT Gravity Onepage is a stylish free one page template of LT Gravity Joomla template which is ideally suited for any kinds of business, corporation websites to showcase their information of products and services they provide. 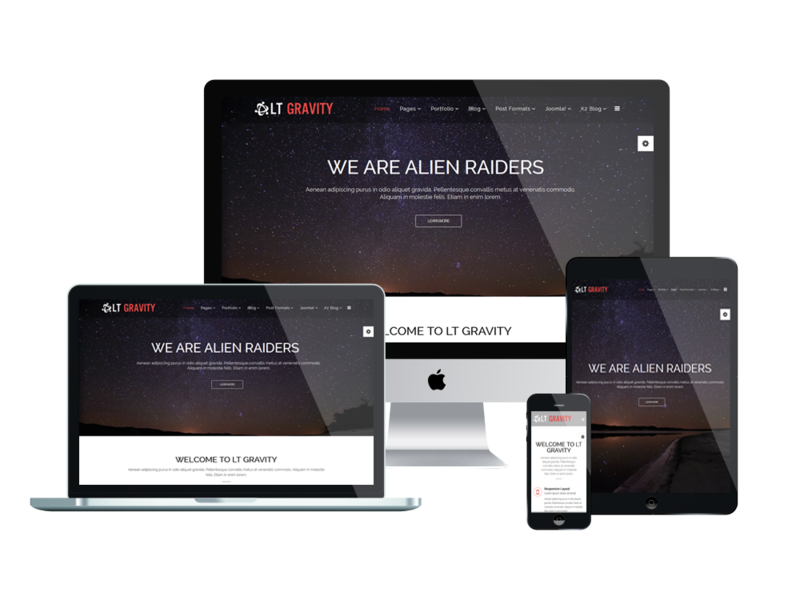 It shows off well on all types of mobile devices with 100% responsive, clean layout in One-page style. 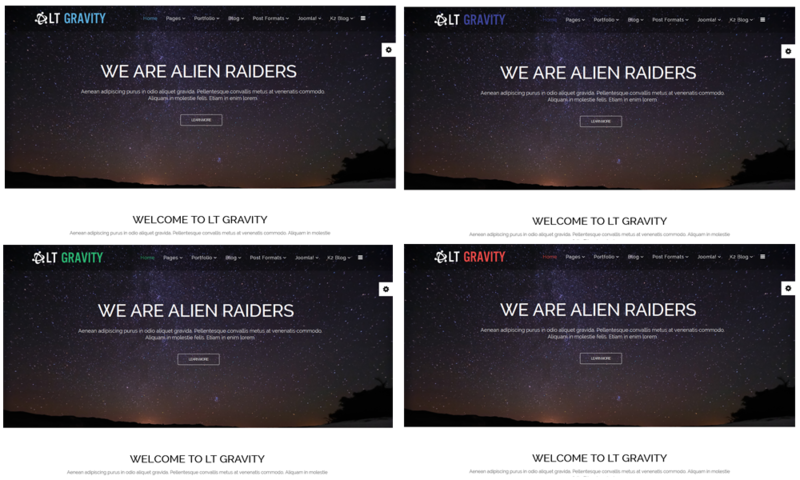 In addition, drag-drop tools and color settings for 6 customizable color styles are integrated as well to prepare for you as full features template as possible, so that you can build your site beautifully with the most comfortable way. Time to get your business well known to more customers, let’s check Live Demo now! 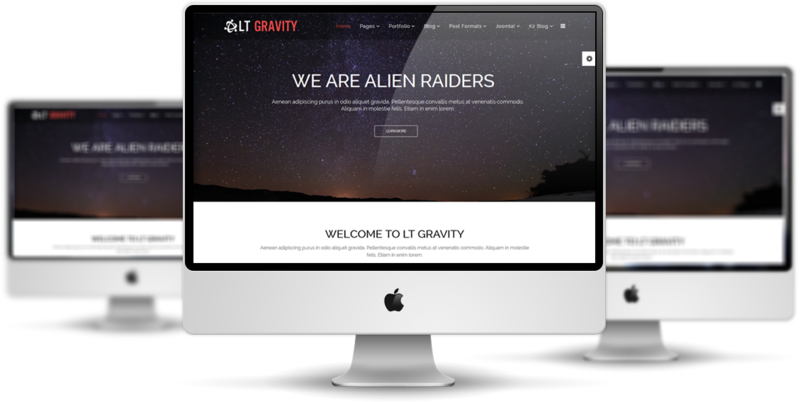 LT Gravity supports mobile devices with responsive layout. The template framework with strong shortcodes, unlimited module positions, and easy to drag-drop layout content.